Listings | Dermot OBrien Realty Sells Singer Island! With over $250 Million in sales on Singer Island since 2004 (close to 225 different properties) Dermot OBrien Realty is the recipient of the the 2012 Ritz Carlton Residences Power Broker Award, 2013-2014 International Property Magazine Best Real Estate Agent Florida Award and the 2017 - 2018 International Property Magazine Best Real Estate Brokerage Florida Award. He was selected as the 2010 & 2011 Unique Homes Magazine Singer Island market specialist, in addition to being a 2008, 2009 and 2010 Platinum Producer for Illustrated Properties Real Estate. Dermot also has an MBA Degree from the Kellogg Graduate School of Management at Northwestern University and a Batchelor of Arts Degree from University College Dublin. He also has a Diploma for the Chartered Institute of Marketing. With 30 years of experiences in real estate sales, marketing, new product development and management consulting he continues to enjoy the entrepreneurial career path. © DermotOBrien.com 2005 - 2019. All Rights Reserved. 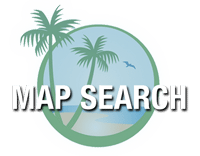 The data relating to real estate for sale on this web site comes in part from a cooperative data exchange program of Beaches and Palm Beach Board of Realtors' Multiple Listing Service. Real estate listings held by brokerage firms other than Dermot OBrien Realty are marked with the listing broker's logo or name and detailed information about such listings includes the name of the listing brokers. Data provided is deemed reliable but is not gauranteed.